They began shinnying down through the barnacle and mussel encrusted iron work. Trying to get this surface triangulation distraction closed down today. The proposition was to see whether I could repurpose my toolpath strategy code and apply it to the problem of triangulating trimmed NURBS surfaces. After all, trimmed NURBS surfaces exist on a 2D parametric domain (like the 3-axis drive plane), and the trimming curve is very much like a machining boundary. You have to know that something like the constant scallop routine is actually modelling a surface that is repeatedly being eroded away, because the toolpaths you see are in fact the boundary outline of that surface. I have an explanation. This happens when maxHdiffFibre is too small. The surface is divided up into cells, and the sides of each cell has at least length/maxHdiffFibre extra points inserted along them. The convex polygonal area of each cell is then triangulated by lopping off the sharpest corners repeatedly, until you have an 8-sided shape that still has points along the top and bottom sides because they were the longest to begin with, so these are joined up. The outer boundary is the trimming curve, so one side of over-sampled cell is trimmed away leaving three sides that have too many points which need to be joined up in the best way they can. Then, at the corners of the trimming curve, the cells are subdivided to get smaller and smaller complete rectangular cells which are small enough not to be over-sampled. 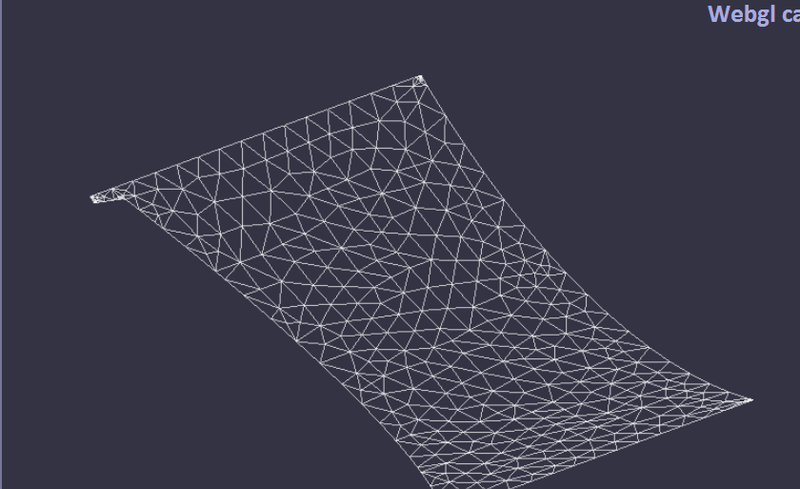 I don’t think anyone else in the world misuses a 3-axis toolpath algorithm to make a triangulated surface, so this type of buggy behavior is unique. Twistcodewiki is great. I use it all the time, even though its light/shading features are crude and terrible, and the interface is almost non-existent. But the one thing it does is so important and unique that I can ignore the fact that it doesn’t do it very well. The same probably goes for a lot of software out there. I hadn’t worked on triangulating surfaces since the first version of machining strategist in 1994, but always thought I could do it better by distributing the triangles in a nice enough manners. It is true that the people who write surface triangulators in engineering CAD packages don’t in general try very hard, but I don’t think many folks realize that there is no right answer. The days and weeks are passing me by. I’ve got to stop doing this programming and get with something I’m interested in. I don’t think I’ve been outside of Liverpool since January. Due to a surface triangulation crisis (the speed of machining operations being four times faster than the initial time it takes the CAD kernel to produce the triangles it needs to start work), I spent the last 10 days hacking up a trimmed NURBS surface triangulator and triangle flipper with Martin based on some of the machining algorithms. We pretend the trimming curves are machining boundaries and encode an XYZ point at each XY 3-axis sample point instead of just tool tip height. The triangle flipping is a second component experiment I’d been meaning to try for a long time. 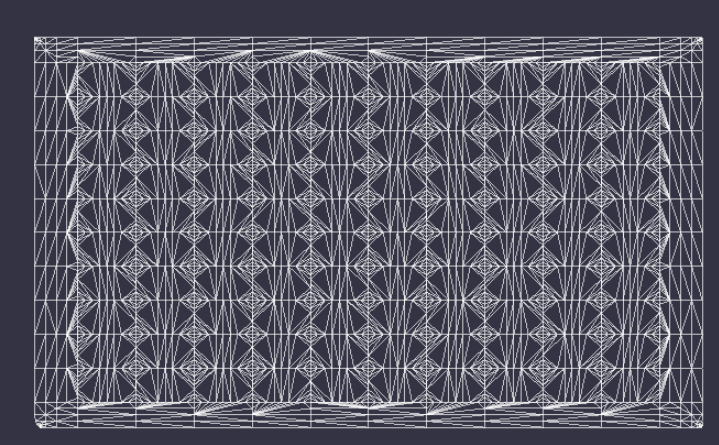 Can you redistribute the triangles in a better way than simply along the UV parametric lines? Not sure I’ve got an answer yet, but it’s exhausting trying to find out. I’ll write it up later when I have the energy. Meanwhile, in another part of the city, things are being built by real engineers. I’m looking forward to installing it in the office and making it work. Which is more than can be said about many of the programming projects I’ve put my hand to recently. I’m also wasting time posting ideas onto the internal Autodesk idea database. Most are sinking like lead bricks into mud. It’s pearls before swine. The latest idea which everyone hates is to hold Simultaneous Satellite Tech Conferences in each region rather than wasting a shedload of carbon by flying all the techies to meet in a hotel in Canada for two days. No one seems to think that maybe it’s because on-line meetings generally last less than an hour, but when you travel half-way round the world to a meeting, the duration of the meeting is in practice like 20 to 40 hours long (with sleeping breaks). Perhaps this extended time period is what’s important, eh? I mean, look, if you teleported into your favourite tech conference for, let’s say, one hour and fifteen minutes before suddenly vanishing in a puff of smoke, you wouldn’t be able to build a lot of relationship experiences with the people there, would you? However, if you were trapped in an elevator for 10 hours, and all you had was your phone which you could use to call the person in stuck in the other shaft, you’d become friends for life with that individual. It’s all in the mind. Use your imagination. A functioning virtual telepresence system should not involve booking the suite for an hour on a stupid meeting. Instead it should require being time-locked in a tank for 12 or 24 hours where the only communication line is routed via the office to which your business travel destination has been designated. You can phone home, but the phone call will literally need to be be directed into a physical acoustic coupler device in that office. You are there, with all the inconvenience of being stuck there, meaning that the place of least effort to communicate is there, and it will be rude and boring if the people in that office don’t pay attention and entertain you while you are stuck there. Maybe after the first six hours you will have dispensed with enough pleasantries and finally be talking about the things you need to be talking about, and building those bonds of friendship that take time to form. Glue and cement and gelatin all take time to set. Do you not think they same could be true for our frivolous minds? The Green Party Spring Conference was held in St Georges Hall at the weekend. I didn’t take any photos except for this one of Jean Lambert MEP. International governance is a serious issue with major consequences. It doesn’t help that the British public enjoy electing clowns from UKIP and the BNP to these positions where they don’t even pretend to do any work. Politics is not a sports show, like the football league. This stuff matters. And it is logical. This morning there were two politicians debating on the radio news program: LibDem MP Martin Horwood and UKIP Leader Nigel Farage squabbling about immigration, and tripping over themselves to praise the Transatlantic Trade and Investment Partnership treaty being secretly negotiated between the EU and the US. Horwood asserted, without any evidence, that this deal would “eventually help to create millions of British jobs”, while Farage said that if we were out of Europe we could sign this deal much faster than allowing Europe to do it. Farage argues for Britain to get out of Europe on the basis that it gives us greater national sovereignty and control over our own laws — something which is flatly undermined by these trade deals whose sole purpose is to establish the supremacy of corporate rights over people’s rights, and where there will be no Parliament to over-see its operation.